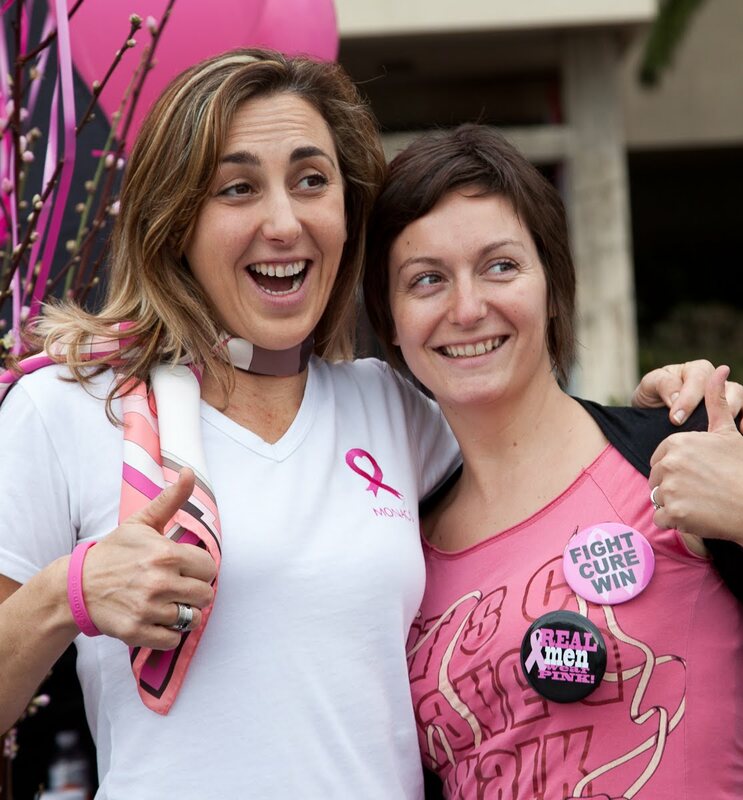 Meet Natasha Frost (she's on the left) and is one half of the incredible energy behind Pink Ribbon Monaco. The lady on the right is Perrine Guyonnet, owner of Miss Rose by Perrine and creator of amazing floral arrangements - it was she who organised the fabulous flowers along with the band of helpers you see in the photo below. She also supplied what seemed like a trillion pink balloons. 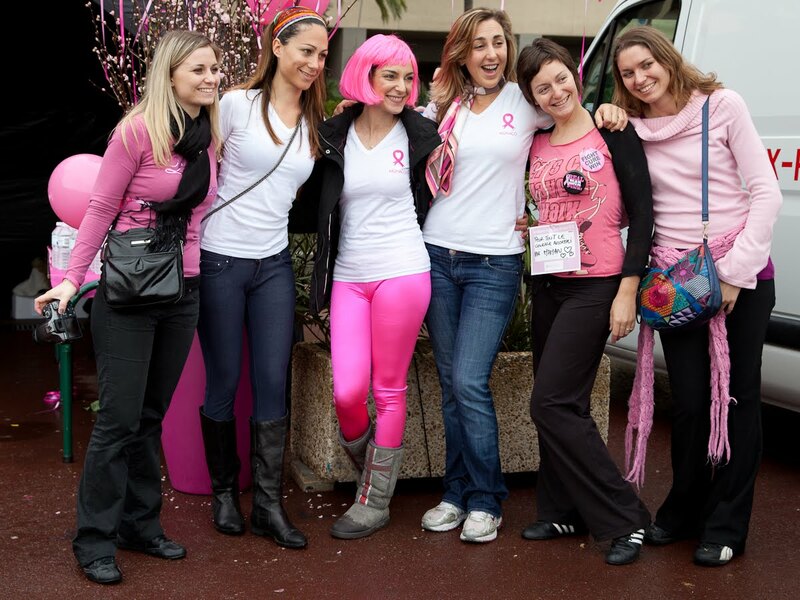 Natasha and Julia Speri-Kaukonen founded Pink Ribbon Monaco in 2011. 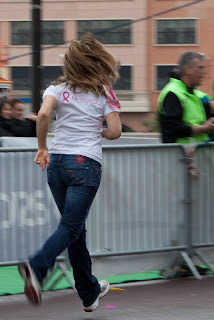 Natasha lived in Los Angeles during her studies and was very much aware of the Pink Ribbon movement that has been such a big part of women's lives in all major anglophone cities for nearly 30 years. The spirit of sisterhood, women supporting other women through illness, treatment and the aftermath of the illness, as well as the celebration of the lives of the victims has always touched her. Julia Sperl-Kaukonen: Born in Vienna, Austria in 1973, Julia becomes a Monaco resident in 2002 after pursuing a successful career in finances, in New York. Sadly, Julia's mother was diagnosed with cancer but is happy to say that her mother is a survivor, having got the “all clear” in 2010. Julia is a lawyer. Natasha Frost: Born in London, Natasha moved to the Côte d’Azur aged five, over 30 years ago, where she pursued her education in French schools till moving to the United States to attend university. In California, she read history and literature. Throughout her studies and to the present day, she frequently volunteers in various community and charitable services, such as « California Soup Kitchen » (project in downtown Los Angeles to feed the homeless), a Women’s Centre on campus (crisis centre for women) and more recently «J’accède » in Monaco, a national movement to draw attention to the public on the difficulties of access to certain areas for people with limited mobility. Breast cancer is a sensitive issue as both her aunt and grandmother were victims. Her aunt is a survivor. Natasha is a translator-interpreter. Oh, how I love the camaraderie as these wonderful women rally for a great cause. PS. Note the color of my hat; it's from the Green Bay Packer team shop in Green Bay, WI sold expressly for Breast Cancer Awareness. I've walked several times in Phoenix to support breast cancer awareness. Lots of love and support for a worthwhile cause. Monaco 10 Kilometre Run - They're Off!